MMA is a contact sport that requires agility, speed and a mastery of different techniques and disciplines. With this in mind, protection and freedom of movement are two key components that are factored in to any specialist MMA equipment or apparel. MMA Shorts are designed to make sure that the wearer has as much freedom of movement as possible, whilst staying securely in place and not shifting around during a fight. There are a number of common features that different brands use to ensure that their shorts are fit for purpose. We’ve outlined some of the most popular features of MMA Shorts that you will find so you know what to look out for. MMA Shorts are often made from a Polyester / Spandex composite material, making them lightweight and flexible. The composite materials used often have moisture wicking properties that helps to draw the sweat from your skin to the outside of the fabric of the shorts, enabling you to remain cool and dry. Some brands will also feature material that is both sweat and blood repellant too. Traditionally, MMA Shorts have been of a fairly standard ‘board short’ style length, but recently we have seen increasing number of shorter styles and even some Vale Tudo / MMA hybrid cross over styles. The length of the short is really down to your personal preference and how comfortable you feel when training or competing. MMA can involve quick movements in different directions and it’s important that the garments you wear move with you and allow you to do this. The inclusion of spandex stretch panels in the crotch area of the shorts is a common feature that allows the shorts to stretch and move without the risk of any embarrassing tears or splits occurring. Similar to the stretch panels, spilt seams down either leg allow the wearer to freely move about when grappling and execute high leg kicks without being restricted or risking tearing the shorts. Keeping the shorts firmly in place without relying solely on tightening a drawstring regularly is a problem that has been overcome with the use of a combined velcro and drawstring enclosure system. Whilst the enclosure systems on certain brands may be a little more elaborate than on others, the principles are the same. Often two velcro panels, one across the waist and one on the front of the shorts are used to reinforce the traditional drawstring system to make sure your shorts don’t move and shift about when being worn. Another popular feature that is used to further reduce unwanted movement, is the rubberised waistband. 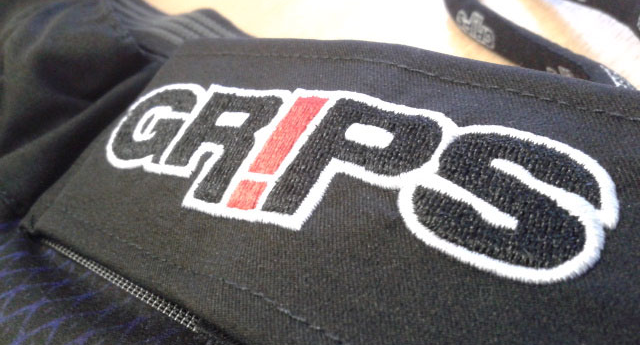 Rubberised waistbands provide additional grip and combined with the above mentioned enclosure systems, they do a good job of keeping your shorts in place. With the basics covered above, all that is left for you to decide on the style and price range that suits you best. Check out our full range of MMA Shorts and be sure to check the sizing the guides for each brand as some slight variations are possible. This entry was posted in Buying Gudes on 3.07.2014 by MMAFightwear.